What Can You Do if Your Senior Is Afraid of Pain at the End of Her Life? Fear of pain is something that a lot of people share. Your aging adult might fear that as she edges closer to passing away, her pain will become excruciating. Helping her to put a plan together is a perfect answer. The very first step is to talk with your senior’s doctor. If she hasn’t experienced a great deal of pain up to this point, it’s possible that she’s anticipating pain that isn’t likely to exist. Once you have a better understanding of her prognosis, you can take further steps to help her to manage her pain. Elder care providers can be incredibly helpful in regards to pain at the end of your elderly family member’s life. They can help you to recognize what it looks like when someone is in pain, even if that person cannot communicate her pain. Signs such as pained facial expressions, heart rate, and breathing patterns can be incredibly helpful. While your senior is still able to do so, work with her to create a care plan for the future. She may already know that she doesn’t want to take specific medications, for instance, or she may be willing to try alternative healing methods to manage pain. Having a plan mapped out can be incredibly reassuring for your senior family member. Sometimes just hearing from you that you’re going to be there for her and that you’re not going to let her hurt is enough. 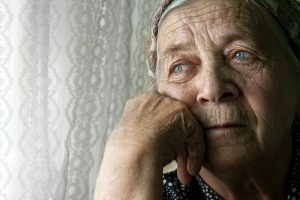 Your elderly family member may simply want to know that you’re going to actively pay attention to what’s happening and that she’s not in this alone. That little bit of reassurance can go so very far. Modify the Plan as Needed. The best part about having a plan is that you can adjust it as necessary. Perhaps your senior’s health changes or she changes her ideas about how she wants to respond to pain. She may experience pain sooner and find that medications she wasn’t sure about before help her quite a bit. All of that can necessitate a change in plans. Having a solid care plan and the help of her medical team and her hospice elder care providers can be incredibly reassuring for your aging adult. Knowing that you’re there for her can be powerful motivation to allow you to handle everything for her.